Congratulations and enjoy the conference! Congratulations! We look forward to hearing about your experiences! Total reimbursement not to exceed $700. The application deadline for those interested in being considered for a SELCO scholarship is Friday, May 27, 2016 at 12 noon. Please complete the application found here. In the event there are more than four scholarship applicants, names will be drawn by lot. Total reimbursement not to exceed $500. The application deadline for those interested in being considered for a SELS scholarship is Friday, May 27, 2016 at 12 noon. Please complete the application found here. In the event there are more than two scholarship applicants, names will be drawn by lot. The next Technology Users Group meeting will be on May 10 from 9:30 am – 12:00 pm at the SELCO offices. The meeting will discuss the recent upgrades to Horizon, upcoming projects, and several technology programs through the region among other topics. For more details, check the agenda. Practical Librarianship: Library Spaces Workshop – Register today! Signage and sightlines are only two of the things to keep in mind when creating a floor plan for libraries of all types and sizes. Other considerations include doing needs assessment to decide if and how to redo the library, planning for technology use, and looking at traditional call numbers and deciding if they work for your collection. 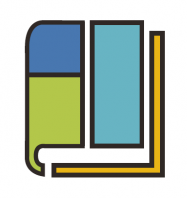 This webinar will provide a detailed overview of Ebooks Minnesota on the BiblioBoard Library platform. Attendees will gain an understanding of the parameters and focus of the program from a Minitex team member, followed by a demonstration of the navigation and content on BiblioBoard, the PatronsFirst mobile library. Practical Librarianship: Social Media Workshop – Register today! Today’s library marketing and public relations are so much more than just press releases and weekly columns. This workshop will help you assess your library’s website and blog as well as social media channels like Facebook, Twitter, Pinterest, and Instagram, and understand how to use them more effectively to communicate with your public. Please bring your own device. 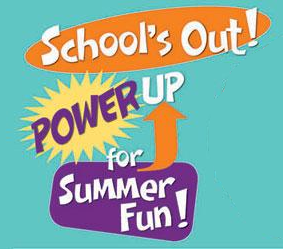 Summer Reading Program Kickoff 2016 – Register today! The registration for the 2016 Summer Reading Program Kickoff deadline is fast approaching!! Realizing that the greatest information and ideas shared at events comes from its participants the 2016 Summer Reading Program Kickoff is set to be three parts unconference, one part program sharing. Attendees will set the major topics for discussion on the day. If incentives are on everyone’s minds? Then it makes the cut. If you’re the only one who wants to talk about book displays? Maybe you’ll have better luck next time. Topic 1: Decided by You! Topic 2: Decided by You! Topic 3: Decided by You!